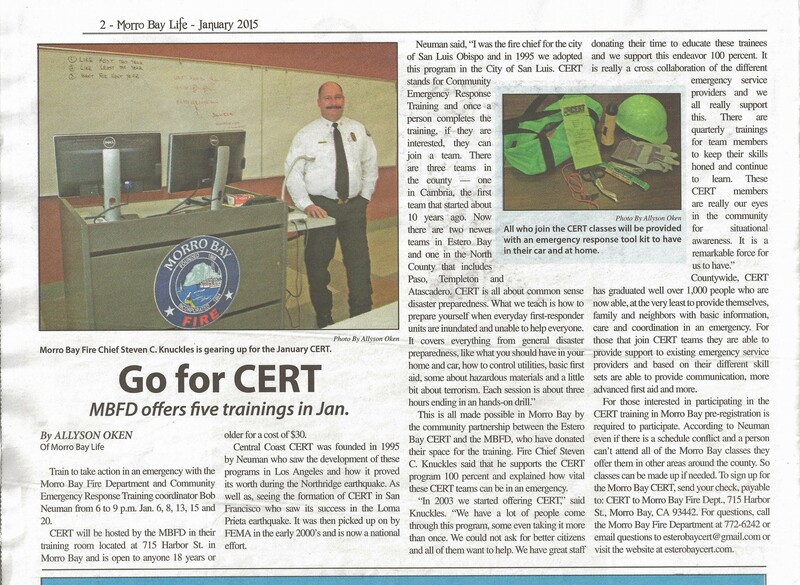 This article appeared in the January 2015 edition of the Morro Bay Life newspaper. The has been posted here with the permission of the Editor of Morro Bay Life www.morro-baylife.com. This entry was posted on January 5, 2015 by ebCERTwebmaster in Get Involved, Get Prepared, Press Coverage.